http://www.energy-uk.org.uk/energy-industry/electricity-generation.htmlOver the last decade, the UK has been pushed by the EU to balance renewable energy generation with fossil fuel consumption, making small but significant steps towards a greener country. With goals previously set for the UK far outreaching the EU’s own (such as cutting carbon emissions by 57% by 2030 on 1990 levels) and the removal of oil fired power plants in the UK, (Global Legal Insights, 2017) Britain could be assumed as a country on their way to becoming low-carbon. Until now. Over the course of 2016, over £1bn of future investment in renewable energy projects has disappeared, amounting to over 95% of total planned expenditure (The Guardian, 2017). After the decline in subsidies for wind power farms, solar power installations and converted coal to biomass stations, consumers have been left wondering, what has happened to the UK’s renewable energy promise and how exactly will we source our power? Under current environmental laws all UK coal plants will be required to close by 2025, with most predicted to retire by 2022 (The Telegraph, 2016). The only alternative option to closure of these plants would be a costly overhaul, using untested technology to minimize carbon emissions to that of 40% of current output. Expected conversion to biomass fuel stations is also less likely as the government has removed the guaranteed levels of subsidy previously offered. With most of UK electricity produced by burning fossil fuels (Energy UK, copyright 2017) replacing this energy source could put large amounts of pressure on finding new sources, or mean increasing UK energy import dependency dramatically. The most controversial new source of energy is Shale Gas, an untapped resource that we have an abundance of, which would mean drilling into and potentially destroying large areas of the British landscape to reach. The UK government has been building a case for fracking for years, their official site has an educational guide that describes fracking as a potentially “safe and environmentally sound” source of “energy security, growth and jobs” (Gov UK, 2017). In other corners, environmental, protest groups and political parties such as Green party have hit back; describing fracking as “toxic and radioactive” (Frack Off, 2015). 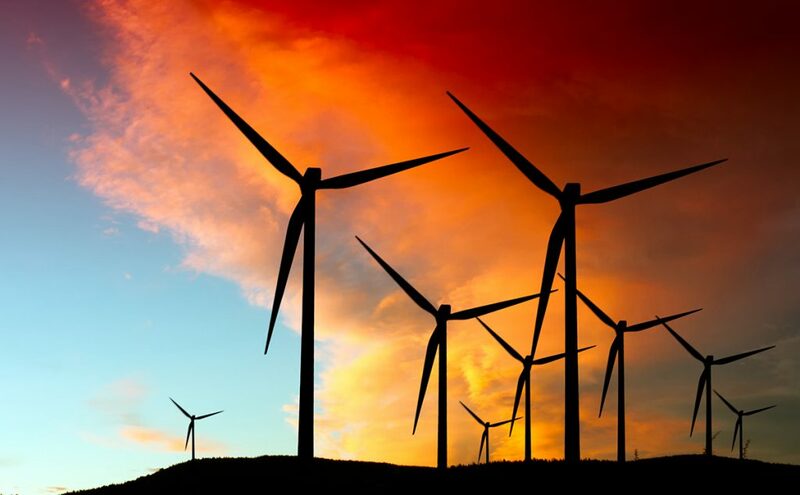 Another controversial (though much less so) form of energy is wind power. When first discovered wind power seems like the answer to all our energy problems, a clean source of power that could actually utilise the British weather. Conservative promises to protect the British landscape however have meant subsidies to help offset the large startup costs have stopped, putting future windfarm proposals past 2020 on hold. Plans to extend subsidies to offshore wind farms have also been scrapped due to higher costs than onshore farms, angering the hardest hit Scottish government. Currently the government doesn’t release an official statistic for the percentage of energy wind power produces in relation to our total UK use, however last year the EU reported wind power covered 10.4% of the total European consumption (Wind Europe, 2016). Although all but one of Britain’s existing nuclear energy stations are expected to close by 2023, currently there are six new nuclear projects in development, and the government has projected 14 gigawatts of nuclear capacity may be built, between now and 2035. Despite calling an end to subsidies for renewable energy sources, the government has recognized that they will need to heavily support the financial stability of these plants and made agreements for investment into its most advanced project in Hinkley. Will Britain choose renewable or carbon energy? Despite a promising effort over the last five years to redistribute investment into renewable energy sources, dropped subsidy schemes and lack of business and consumer incentives to reduce carbon emissions (such as the diluted road tax scheme) indicate a change in government vision on how Britain should consume energy. Although expenditure on fracking and nuclear power indicates a desire for the UK to become more reliant on its own sources, lack of plans to uphold environmental targets after Brexit reveal an ambition to do so using non-renewable energy. Energy UK. (copyright 2017). “Electricity Generation“. Retrieved from Energy UK. Frack Off. (2015). “Fracking Threat To The UK“. Consultable on Frack Off. Global Legal Insights. (2017). “United Kindom Energy 2017, 5th Edition“. To know more about it click on this link. Gov UK. (2017). “Guidance of fracking: developing shale gas in the UK“. For more information you can visit their website. The Telegraph. (2016). “UK sets out coal plant closure plans“. The Telegraph. (2017). “Cuadrilla Begins Work at Lancashire Fracking Site“. Retrieved from The Telegraph.